I used to not be a dress person and could count the number of dresses I own with one hand, but I've slowly started wearing more dresses and gradually building up my dress collection (which I can now count with two hands!). As I've said before, my arms are the least favourite of my body, so I rarely wear sleeveless clothes. However, I couldn't resist buying this Warehouse dress that is not only in a red gingham print, but also has buttons down the middle and is a midi length. This dress ticks so many trends in one go! I love gingham and already own black and blue gingham pieces, so it was inevitable that I would add a red gingham piece to my wardrobe. 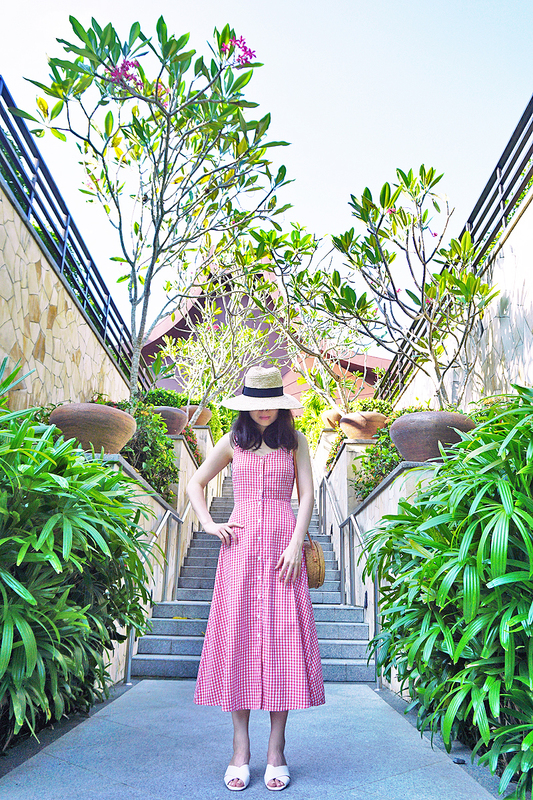 The fit of the dress is very flattering as it's form-fitting at the top and cinches me in at the smallest part of my body, then flares out at the bottom and covers all my lumps and bumps. Straw hats and bags are very popular this Summer and I couldn't help but add one of each to my wardrobe. I like hats with wide, floppy brims because they make my large head look smaller. Also, how cute is the straw bag? I know everyone and their mother have it, and now I know why: its round shape is retro yet timeless, it's lightweight but surprisingly fits a lot and it goes with so many things. 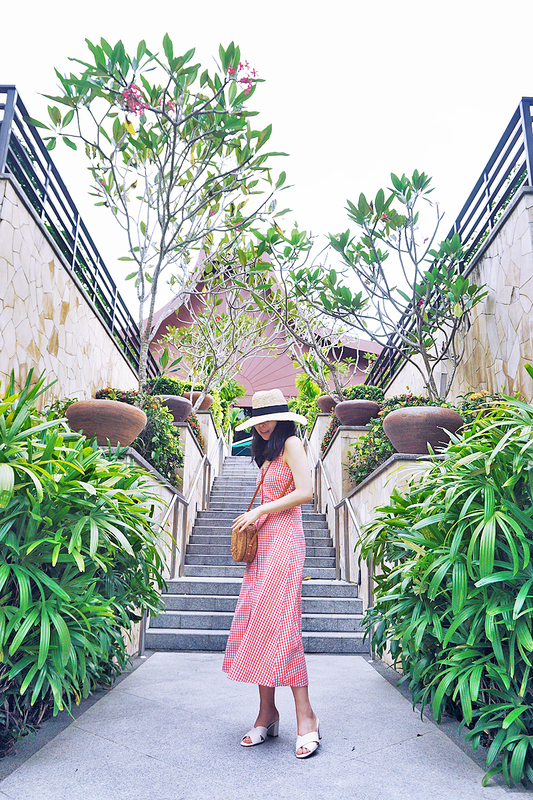 I like how the straw hat is in a lighter shade than the straw bag, but both match the dress well. The white crossover mules are the perfect final touch.